It’s 1:10 in the morning… what are you doing, what are you thinking, how do you feel and which shoes are you wearing? That’s what I’ve been asking myself every day for the past week at 1:10 (am or pm) for a project my friend Micah Paldino asked me to participate in. Landor & Associates, a local branding firm, is coordinating it, and it’s called the Landor 110 Project. Previously, Landor had its employees pause at precisely 1:10 (am or pm) to think about what they were feeling at that very moment. They were asked to express those feelings through a sketch, a word, a photo and a color. Landor then took those sketches, words, photos and colors and put them for the world (well, the downtown Cincinnati world at least) to see, as the Landor window displays at 110 Shillito Place. 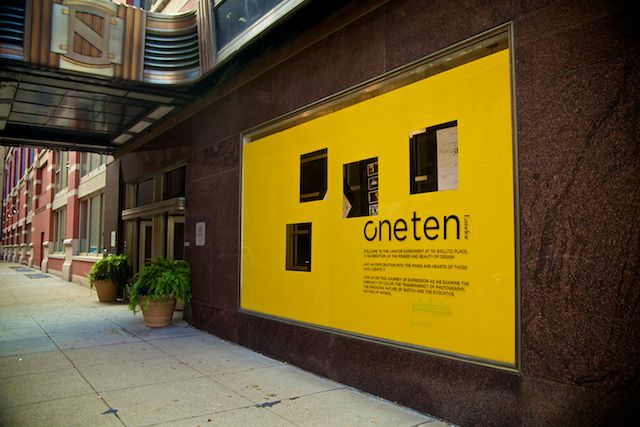 This year, the fate of the Landor 110 window displays is in the hands of the people. And I’m one of those lucky people! Micah told me they selected “key people” in the community, but I think he was just being nice. : ) No, but from seeing all the #landor110 hashtag convos on Twitter, a lot of cool people are also participating, so I’m honored to be a part of the group. As you all know, I love shoes. So, my Landor 110 Project was shoe-inspired. I realized that each day, my shoes emulated how my day was. I wore power shoes when I needed to have a powerful day at work. I work my fabuslippers when I needed a little rest and relaxation. So, that’s what I did. And as you also know, I have my Fabushoe Friday, so what better day than to share my shoe-inspired Landor 110 Project with you than on a Friday! Please see the video below as I go through my seven days of shoe inspiration. Enjoy!